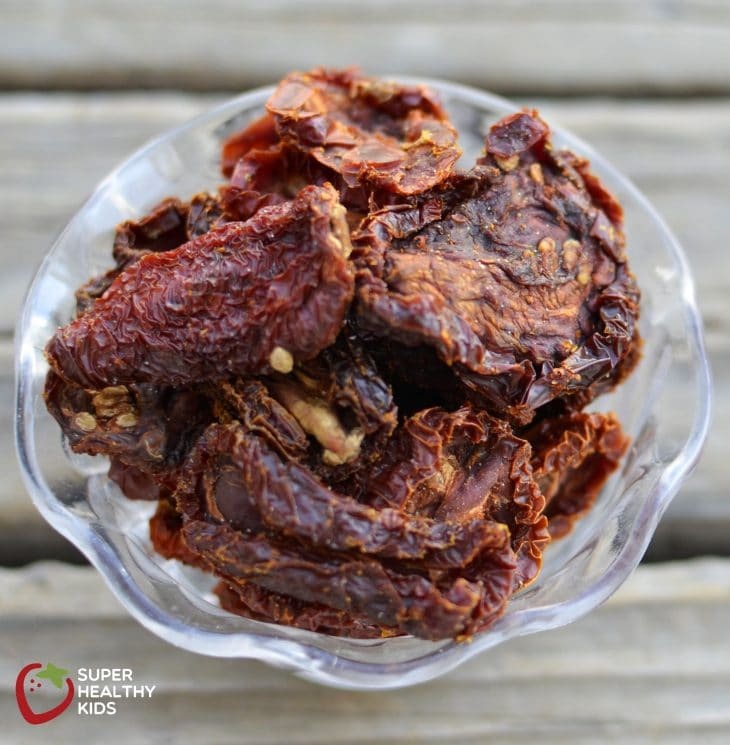 When picky eaters have the opportunity to taste a variety of fruits and vegetables, in a variety of ways, their parents are surprised by the foods their kids actually like. Kids who say they don’t like a certain food just haven’t found the way they like it yet. Vegetables take on an entire different flavor and texture when they are raw, frozen, blended, dried, roasted, etc. Trying one veggie in a variety of ways and in different recipes is the single best thing you can do to get picky eaters to try new foods. We are all about having kids taste food, rather than making eating them a priority. We’ve been sharing this message for years. This past year, on our meal planning site, we’ve been taking one fruit or vegetable that’s in season and using it in a variety of ways all week. This helps kids get exposed to the different ways you can eat that food. 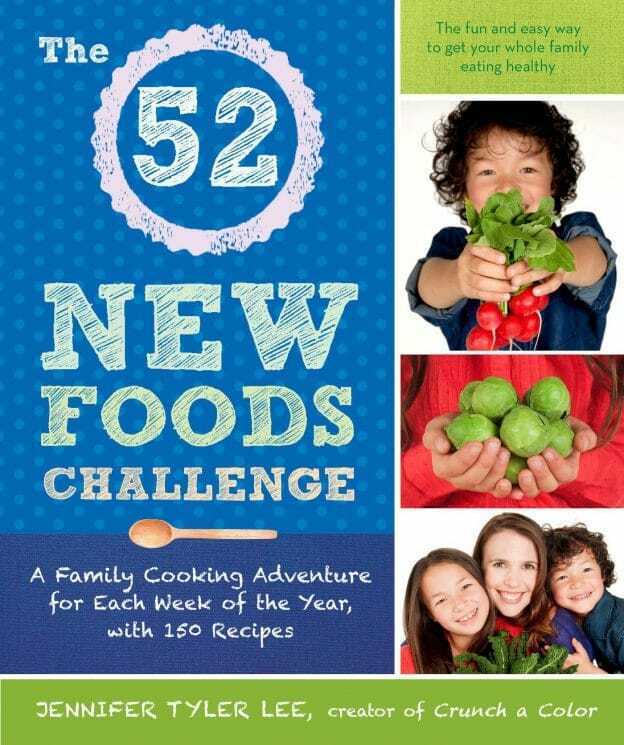 Which is why, when I saw this book, The 52 New Foods Challenge, I literally cried! I cried for two reasons. One, because it’s the book I wanted to write for so many years- and two, I was so happy someone else did, because Jennifer Tyler Lee did it so well. Today, I wanted to share tomatoes. Like all fruits and veggies, tomatoes can take on DRASTICALLY different tastes & textures, depending on how you prepare them. If your kids don’t enjoy them one way, there is no reason to decide they don’t like tomatoes. Try them in these different ways first! You will eventually find a way they like them. 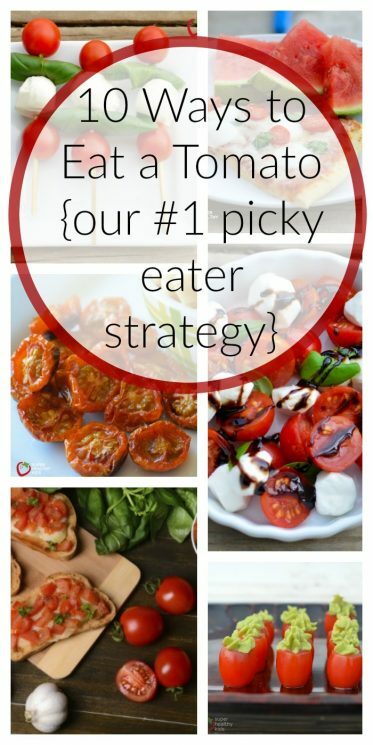 (from page 250) Caprese salad with a kid-friendly twist! 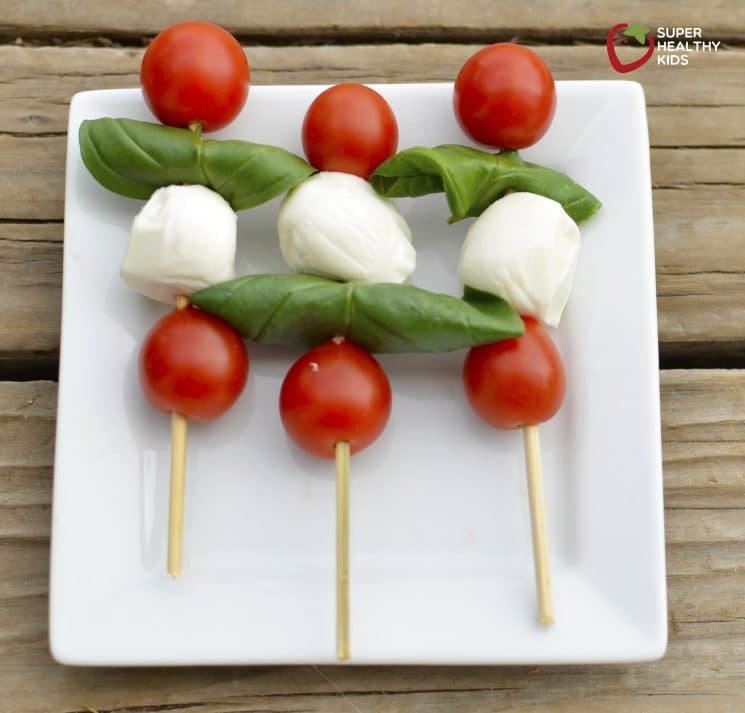 These pint-size tomato mozzarella skewers make fresh-picked cherry tomatoes even more fun (and easy) to enjoy! Serve up your tomato pops with a side of nut free basil pesto (page 230) and let everyone enjoy giving their pops a dip! As if tomatoes weren’t sweet enough, making a balsamic reduction, and drizzling it over mozzarella, tomatoes, and basil to create a caprese salad can almost be dessert! Kids love the sweetness of this salad, and how fresh it tastes. (from page 252) Roasting not only changes the flavor and texture of tomatoes, it makes it easier to absorb the nutrients packed inside. This simple side dish is delicious paired with sesame-crusted salmon (page 224), Easy roasted chicken (page 282), or atop a garden fresh pizza! For roasted tomatoes, we put some cherry tomatoes on a cookie sheet. Drizzled with olive oil, and baked at 250 for about 3 hours! YUMMY! These are unique in flavor and texture altogether! Sun-dried tomatoes, usually purchased at the store, can also be made at home. Snacking on them is fine, but usually, we add them to a cold pasta salad! Can you see why I wanted to highlight tomatoes! 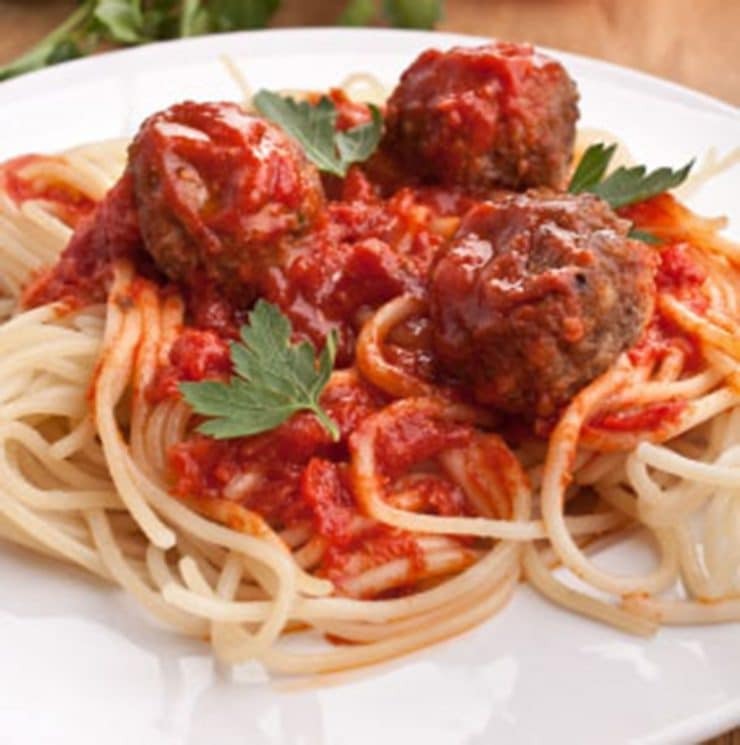 Tomato sauce takes on a completely new flavor and texture! Our homemade version here is fast and easy! 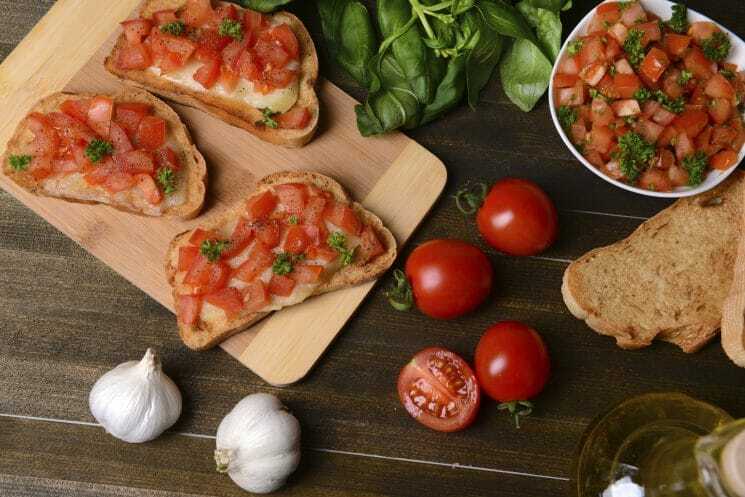 When tomatoes are in season, the flavor is even better! 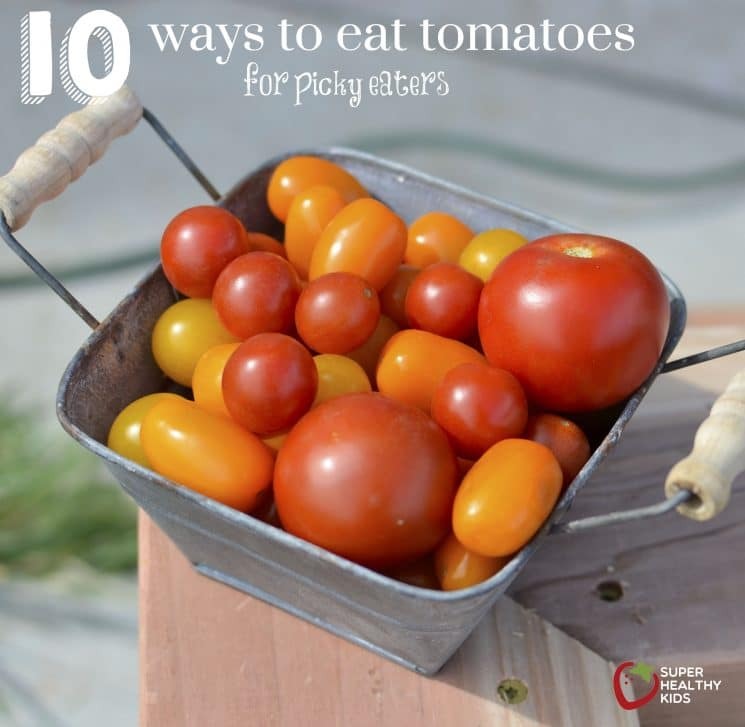 Tomatoes can be one of the easiest things to grow, so get started this year and try some different varieties of tomatoes in your sauces. Don’t be afraid to mix a new food with a favorite food. 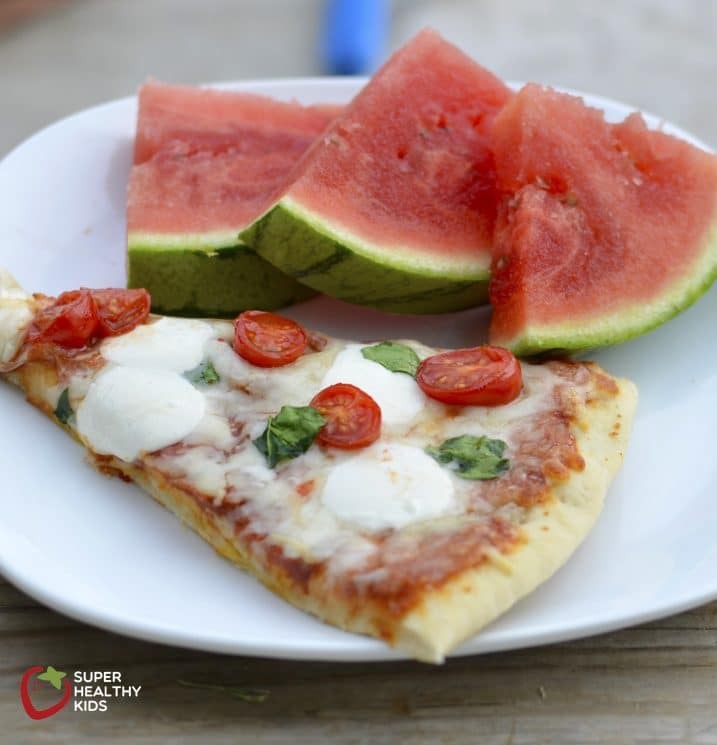 Adding different toppings to pizza, like sliced tomatoes, is an easy way to introduce kids who might be scared from trying new foods. When they take a bit of this pizza, you can point out to those kids- Hey look at that, you DO like tomatoes! 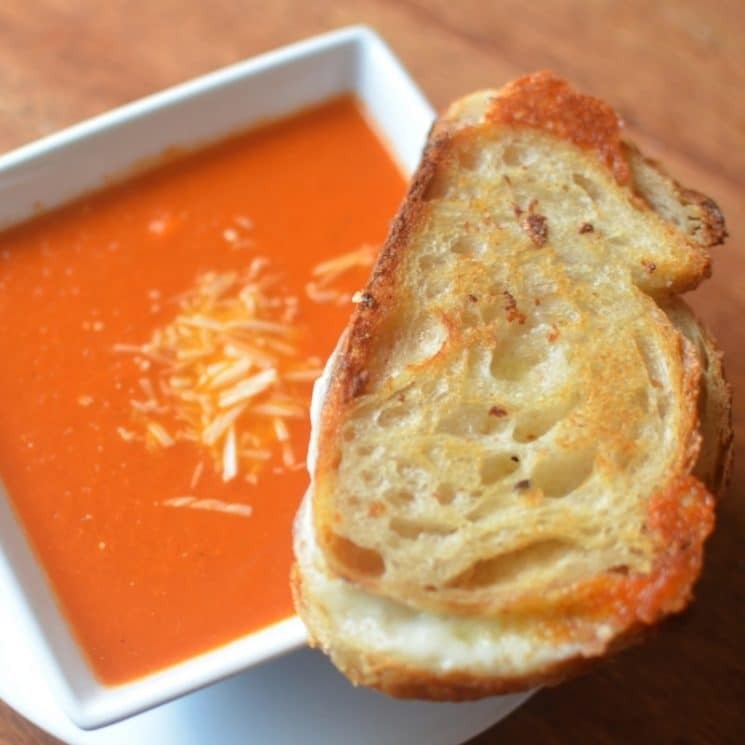 Tomato soup can take on a new flavor and texture! 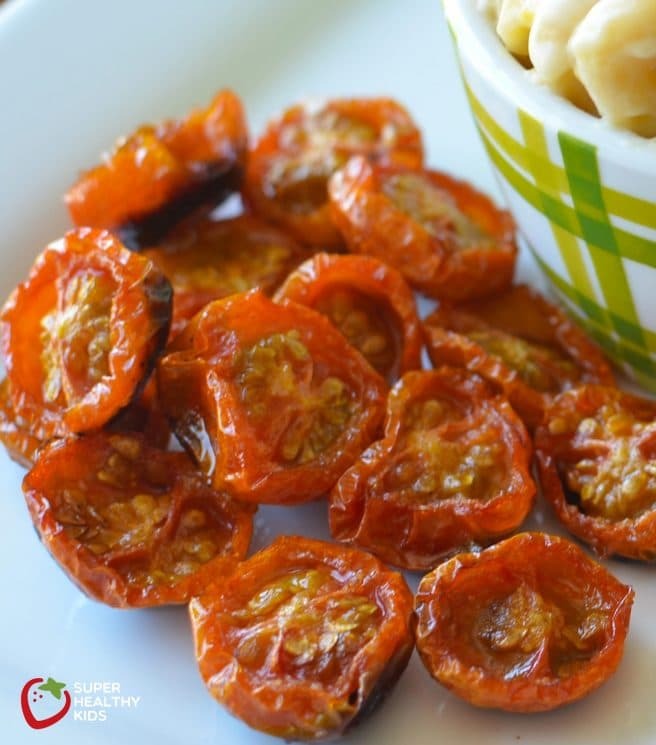 We love this recipe from Laura Fuentes- Fire Roasted Tomato Soup! Using some crusty, delicious bread make it so tasty. Kids love to tip, and this soup is perfect for that. I just love how you can change the flavor of tomatoes from Italian-ish (tomato sauce), to Mexican-ish with salsa! Adding fresh herbs makes all the difference in how this tastes. 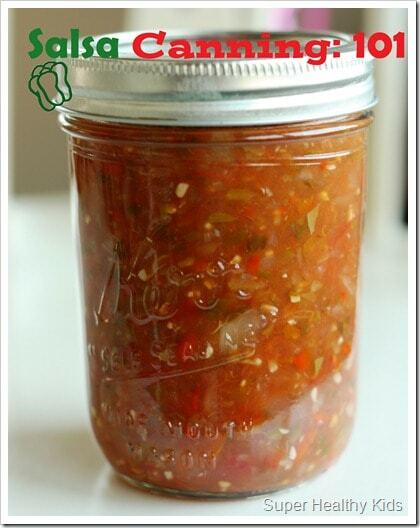 Can your own salsa this summer for the very freshest and most delicious salsa you can get your hands on. 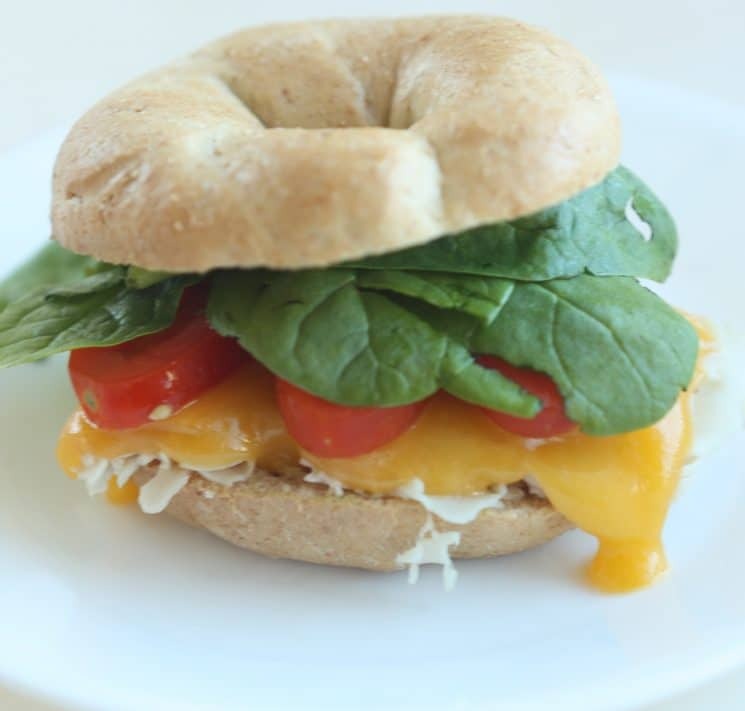 Include a slice of tomato on your kids favorite sandwiches! This turkey sandwich has cheese, spinach, and turkey- with sliced tomatoes! A great way to include tomatoes in a food that is already familiar to your kids. 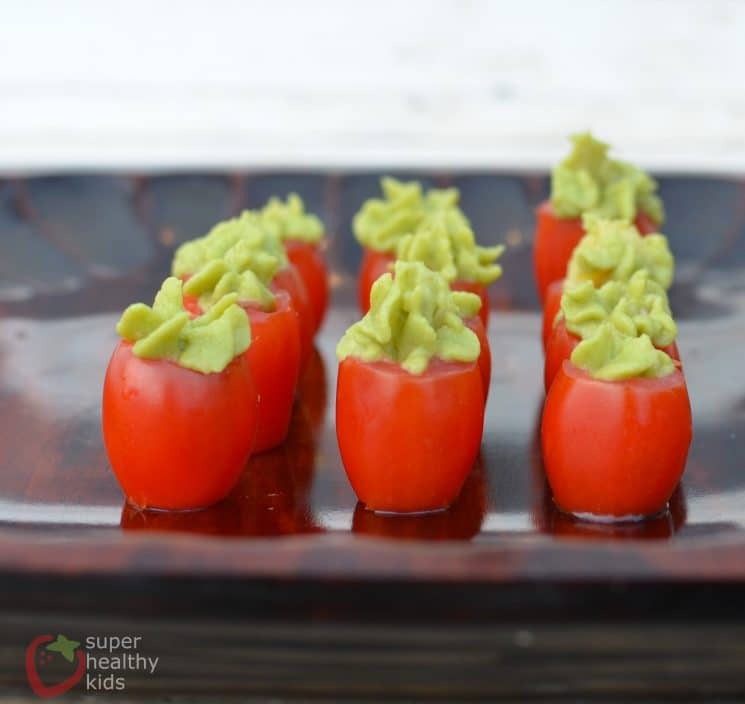 In Jennifer’s book, she had hummus cups, similar to our avocado cups here. I love the idea of filling these with hummus! We’ll definitely be trying that next time. 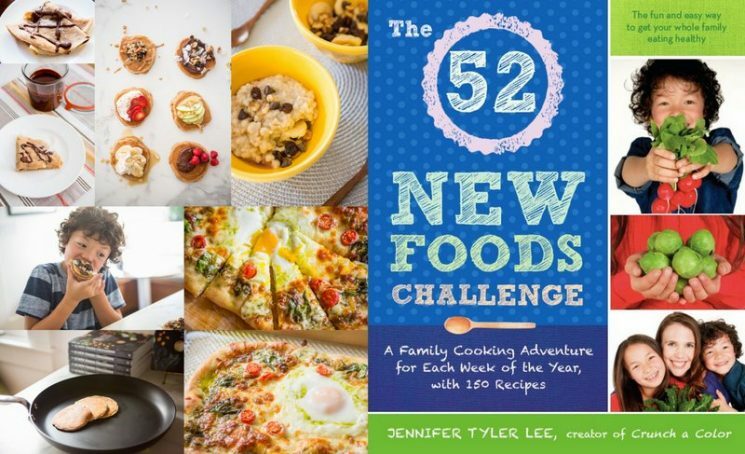 Jennifer’s book has 52 new foods for your kids to try, with 2-4 recipes for each new food! Make this a family challenge. Get the book, and commit to incorporating a new food into your life each week. What a fabulous way to expose your kids to new foods. Read more about the book here. Buy it here. Wash the tomatoes and, using your fingers, remove the green tops. Load the tomatoes into a large bowl as you go. Drain the mozzarella balls, then add them to the tomatoes. Add the oil and salt to the tomatoes and mozzarella. Stir to combine. Skewer the tomatoes, mozzarella and basil leaves, alternating between them. Serve the skewers in a small glass or vase or cup, like a bouquet. 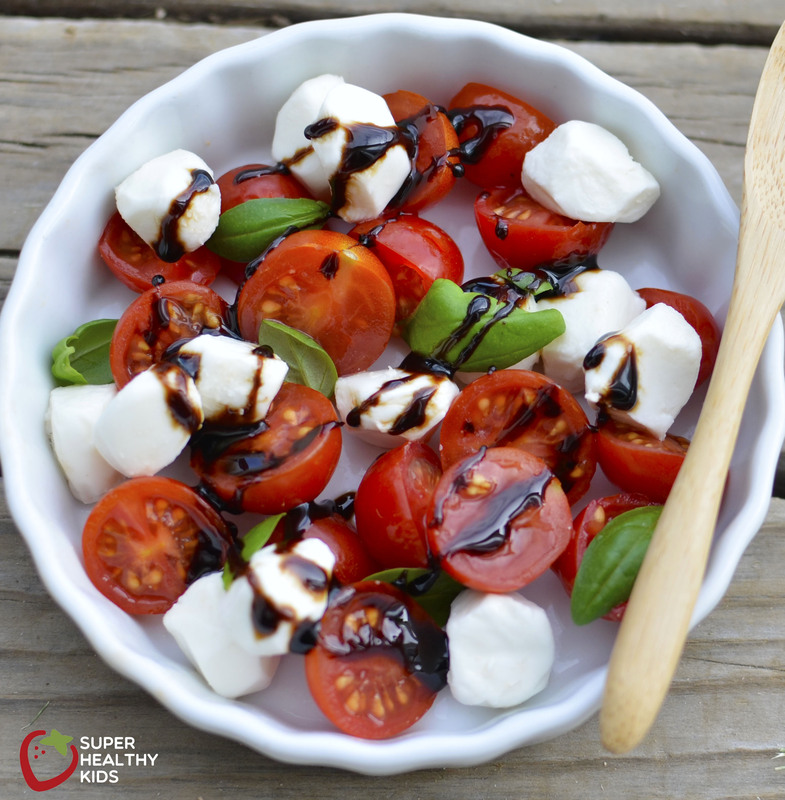 Mix together the remaining ingredients into a fresh caprese salad.